While hiring trends seem to be smiling, the spread may be uneven. Not all states are adding jobs and those that do may also have higher unemployment rates. Don’t be surprised, that’s how numbers work. So if you’re in one of those states where unemployment may be swelling and chances of growth getting slimmer, you might consider relocating to more favorable pastures. The good news is that companies with cash are still hiring top talent and if you can position yourself out there among the best of the best, your chances appear bright. Some of the areas where companies seem to be investing most include sales, service/product development, customer care and service delivery. We all know which companies are the blue-chips of our state or country (if you’re not in the United States) and keeping an eye on their vacancy pages is highly recommended. The truth is that many employers are feeling the economic pinch and may be more willing to hire you on a contract. In a market where permanent jobs might become increasingly rarer, you need to be prepared to take whatever comes your way. Remember that many contract employees are given full-time jobs once they prove their value to the company. So take the opportunity as a challenge and do not be threatened by the short-term nature of a job. If you’re good enough, your employer will need your services beyond that first contract; that’s when you will be in a position to set your own terms. Don’t forget to network with your network. Make sure all your professional contacts fully understand your strengths and interests. Keep in touch with anyone who can help you open more career doors, anyone working with the Fortune 500 or similar corporations. Some of the most intimate information about companies may not be readily available on websites and this is where your personal connections will make the difference. If an employee working in your company refers someone to you, you save headhunting cost and time, which are the two major concerns for all HR professionals and recruiters. The internal referral also translates into higher confidence in the prospect as compared to a random application. This is another way professional networks can make a huge difference. Within the company, you can also offer referral fees to encourage internal referrals, thereby also creating a more positive external image of your company. Of course one must always be politically correct but these days, being socially correct is also equally important. Some recruiters confess that they look at a candidate’s online profile before making their final decisions. Be careful what you post online because someone might be making judgments based on your activities on social networks. 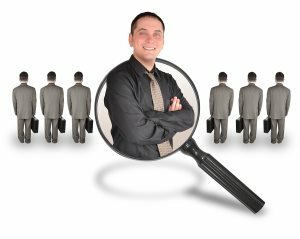 A recent poll suggested that 70 percent of HR managers rejected applicants because they failed background checks conducted on social networks. That’s a very high percentage that should make anyone sit up and take notice. By that, I mean non-technologically. Many recruiters and employers are currently paying for their talent to be groomed in business and art schools (aka D-schools where D stands for design) which are now teaching the somewhat-bizarre concept of design-thinking through MBAs and executive courses in design strategy. Simply put, it’s a more creative approach to problem solving. If you have the time and cash to invest in education of the future, now may be a good time to do that.